Deliciously dark chocolate with hazelnut praline for a luxurious melt-in-your-mouth experience with a subtle nutty finish. 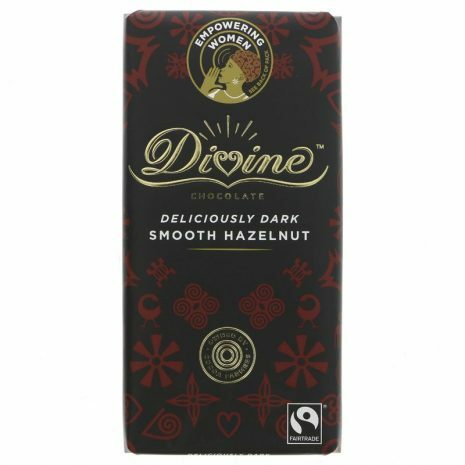 All Divine is made with quality Fairtrade cocoa and pure cocoa butter, for an intense chocolate hit that melts in the mouth. 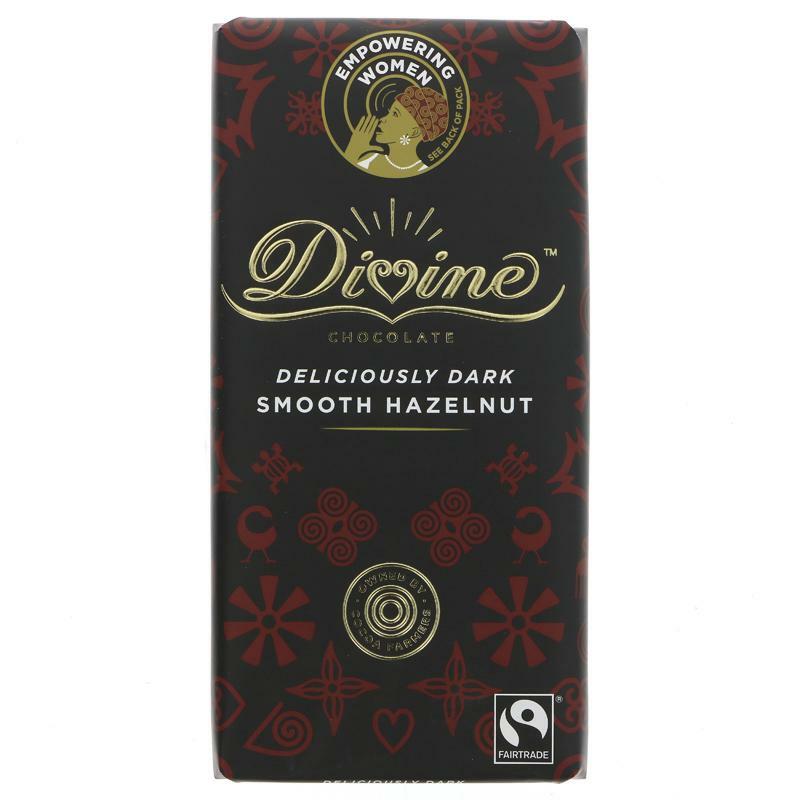 The other ingredients are carefully sourced from Fairtrade growing communities around the world with Fairtrade sugar from Malawi and Fairtrade vanilla from Madagascar for a treat as delicious as it is rewarding. This bar also has information about how Divine Chocolate empowers women cocoa farmers, who are vital to producing 'pa pa paa' (best of the best) cocoa.